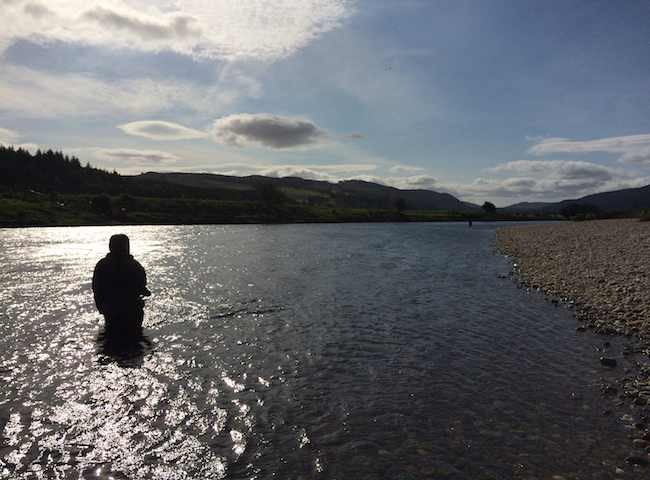 Here's a shot of a River Tay salmon fishing methodically fishing his way down through the salmon pool in the most perfect ambient light conditions. 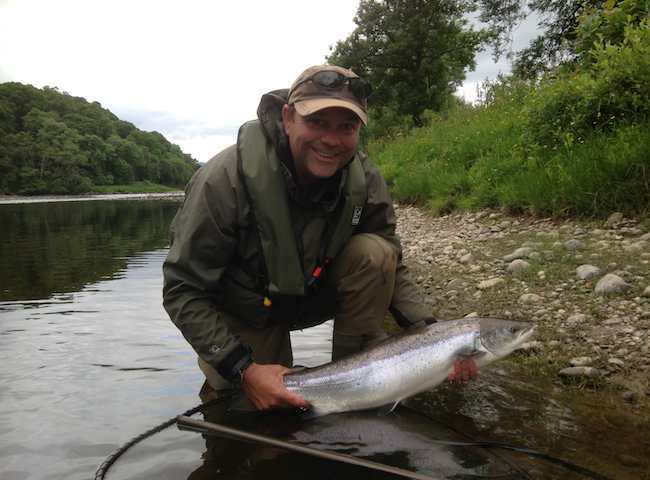 Here's the best natural reward Scotland has to offer in the form of a fresh run River Tay fly caught salmon. Introduce your business colleague to a different mind set for entertainment this year. They say there's a pot of gold at the end of the rainbow. On the Tay that pot is one that's potentially full of silver in the form of fresh run salmon. 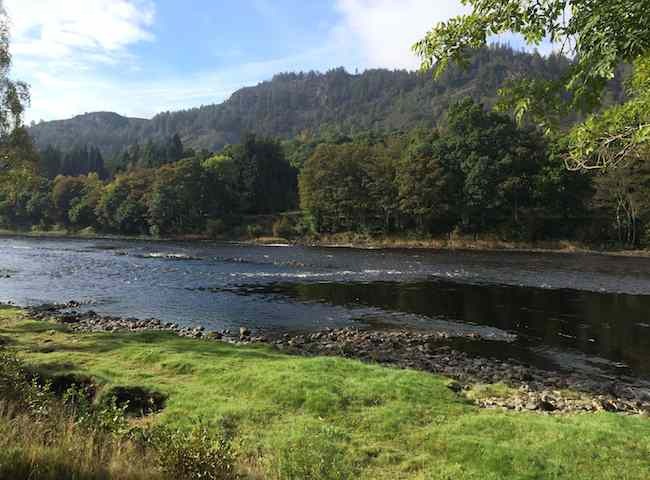 If you take a gaze into this River Tay landscape scene you'll get the hint that there's much more to Scottish salmon fishing than just catching salmon. 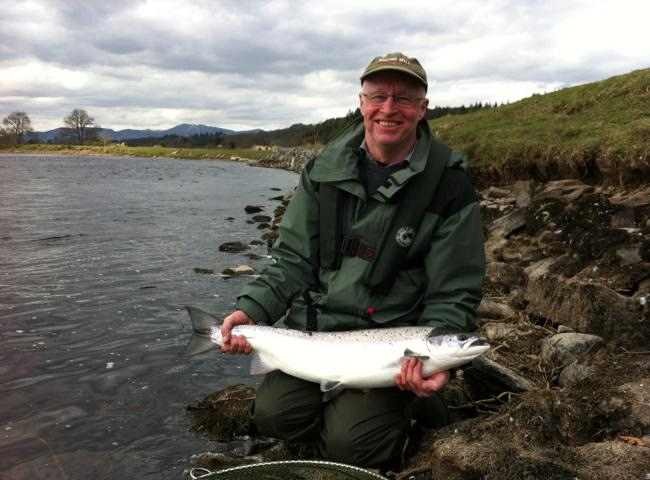 Here's the end result of some expert salmon fishing tuition on an introductory salmon fishing day. Show your key business associates a close up of Scotland's most famous fish. 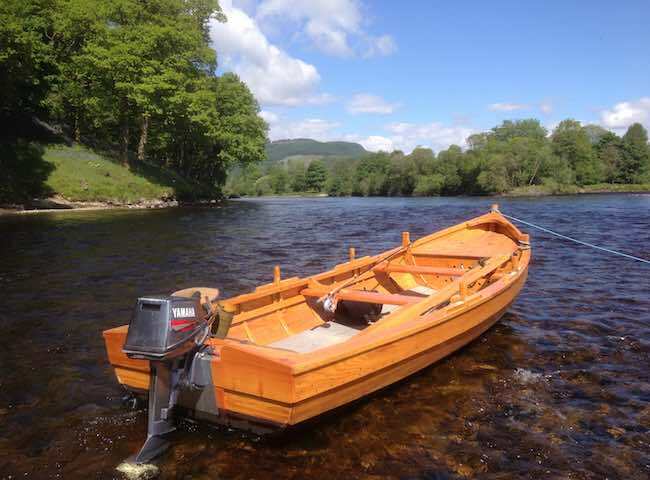 The traditional River Tay cobble boat makes a fantastic day out on Scotland's premier salmon fishing river. Treat your colleagues to something extra special for your next event day. 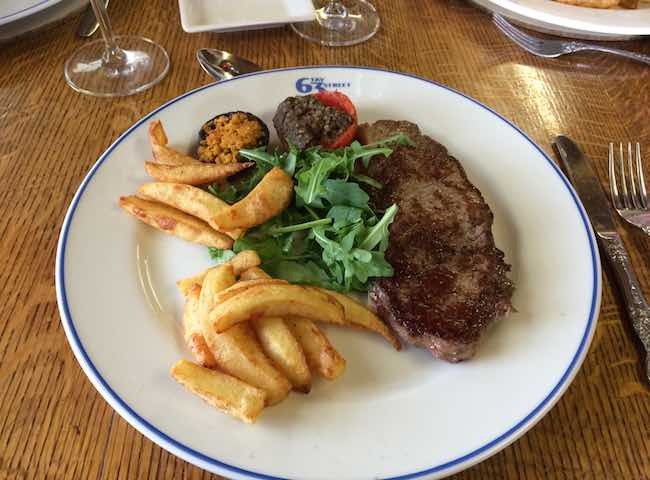 This is the high caliber of cuisine that will be served to you on a River Tay salmon fishing event day. Treat your associates to a lunch in nature's finest river settings. 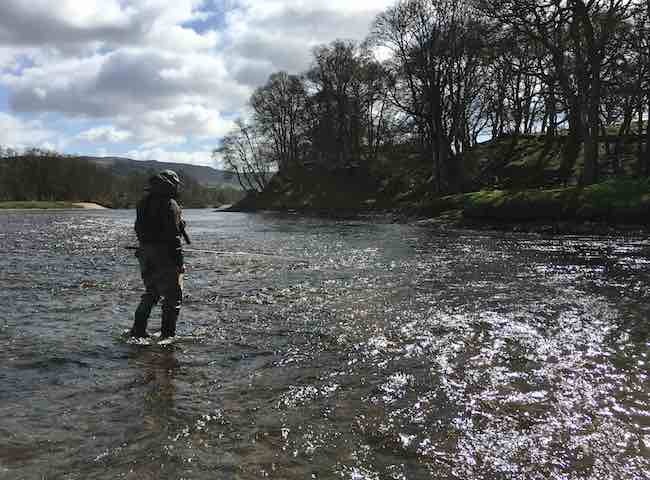 Once you've been taught how to use a salmon fly rod it's then a stealthy searching game to locate a salmon. The movement of the fly in the stream is a fascinating element of this sport. 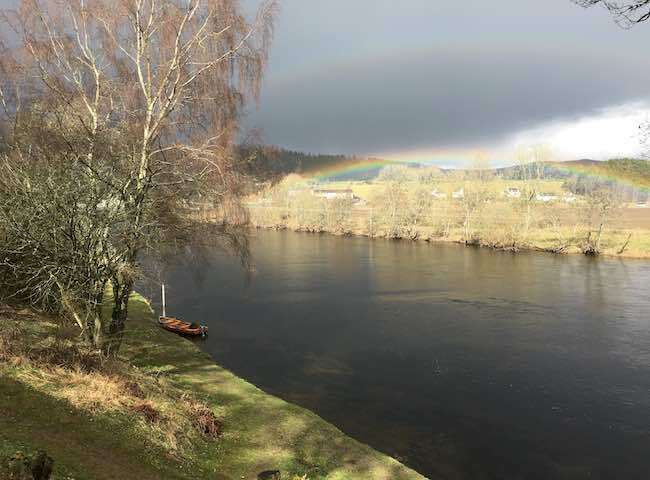 This is the high caliber of natural scenery that the River Tay valley is renowned for. 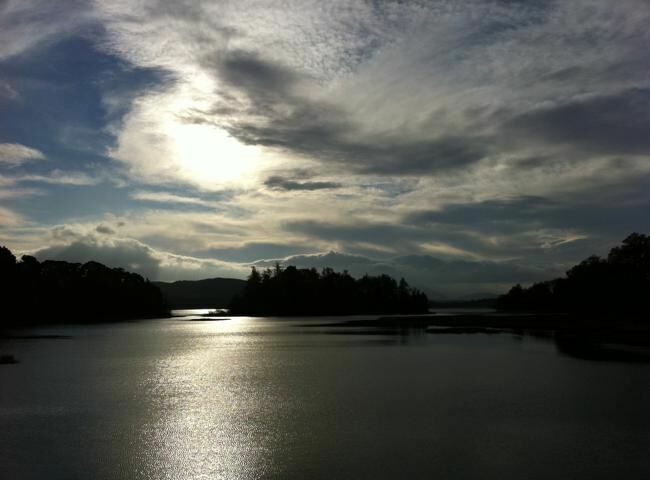 Treat your business associates to a day in paradise with the added chance of an encounter with an Atlantic salmon. 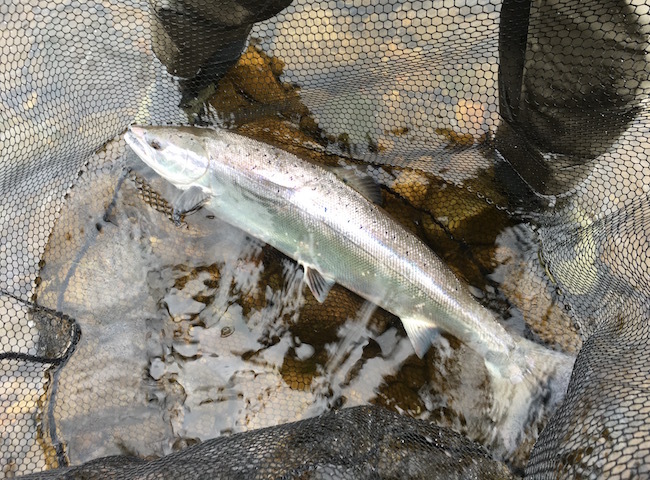 Here's a shot of another perfect fresh run River Tay salmon in the landing net after capture. The thrill of catching one of these beauties is unsurpassable when it comes to excitement & satisfaction levels. 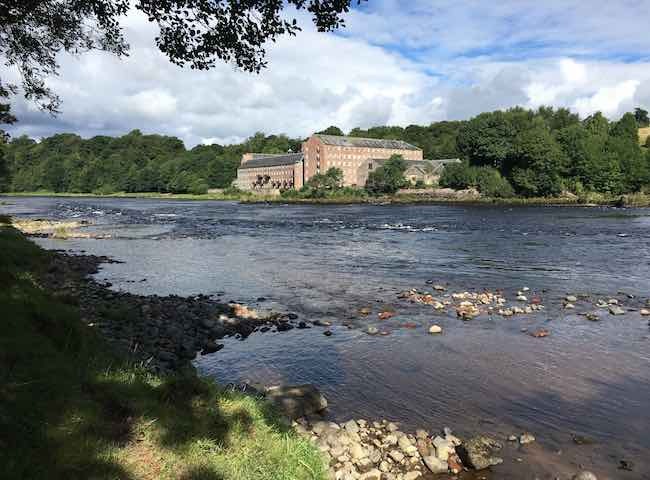 Here's a beautiful scene from the lower River Tay near Perth which has some fantastic water in its surrounding area for a perfect salmon fishing event day.